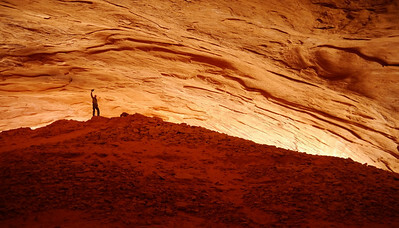 Weathering Pit Ridge Glen Canyon NRA, Lake Powell, UT 30-October-2011 Taken at 5 pm as the sun was quickly setting. 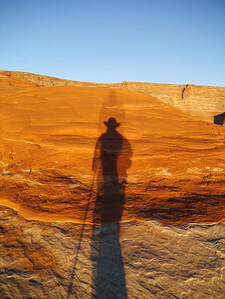 A self-portrait of my own shadow – a combination of shadows from the setting sun and the sun’s reflection off of the lake. 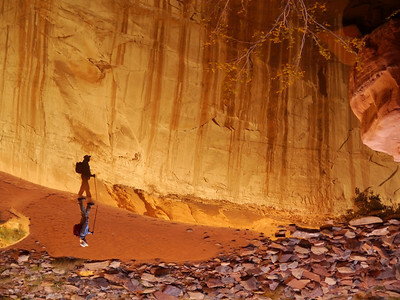 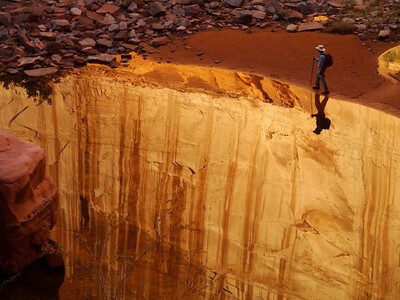 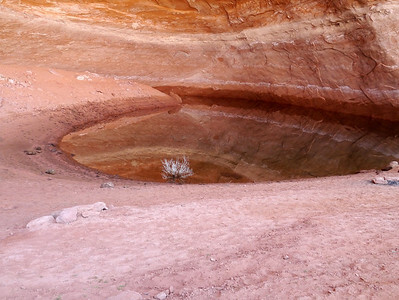 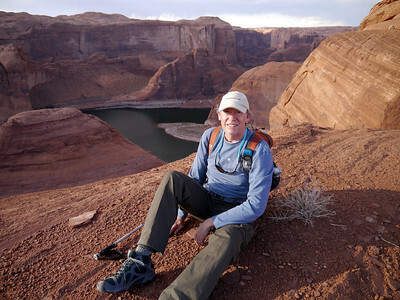 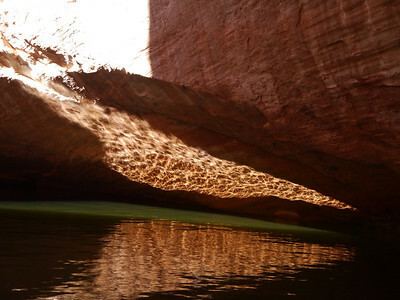 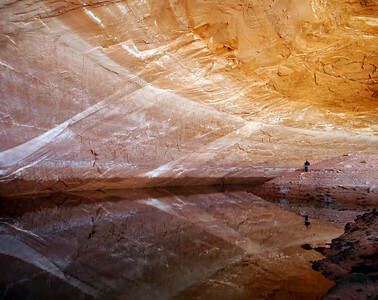 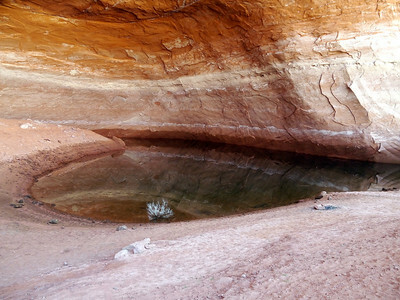 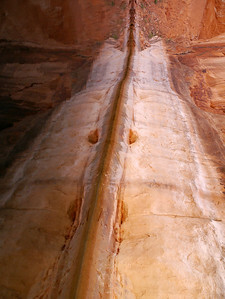 Anasazi Canyon (flooded waterway), Lake Powell, UT , 31-Oct-2011. 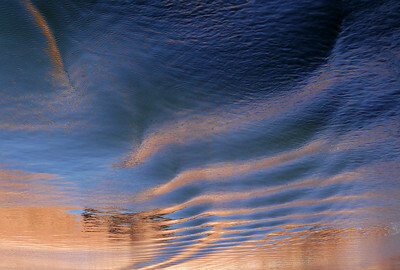 Reflections in still water are always interesting. 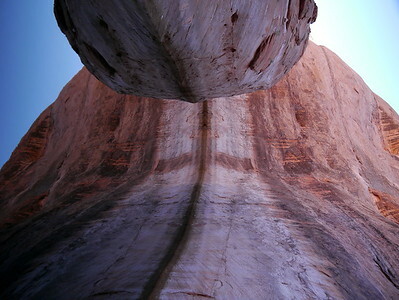 Careful use of a polarizing filter to help enhance the blue sky, but was taken at near mid day so little effect was possible. 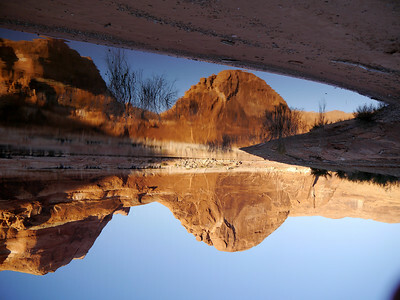 To make this image really interesting, and challenging to the eye, is to flip it upside down. 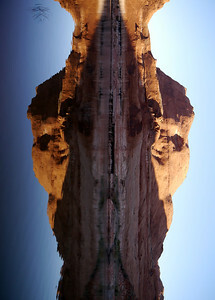 Simply flipping the image provides the illusion of the objects appear to float in mid-air. 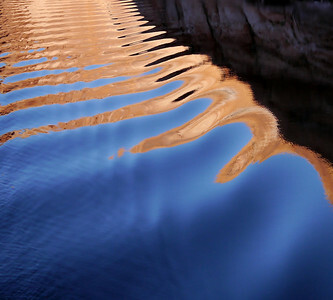 The dark blue at the top is not the sky , but the reflection in the water. 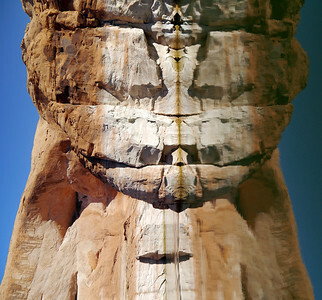 Flip the image back to right-side-up and the image is less challenging to the eye and makes more “sense”. 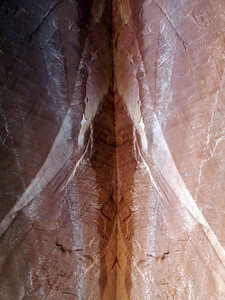 Glen Canyon National Recreation Area Lake Powell, UT 31-Oct-2011 3:50PM This canyon housed a pool of water that was sheltered from any wind, making it a perfect mirror for the canyon walls lit by the late afternoon sun. 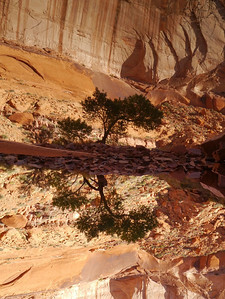 The image can be viewed normally or upside down. 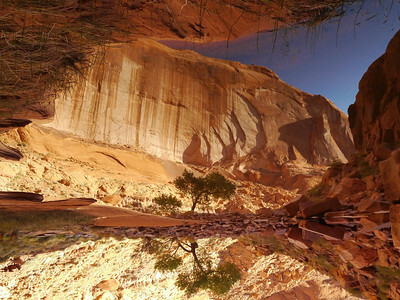 This view is upside down, not immediately obvious until you notice the dirt and rocks and grass in the “sky”. 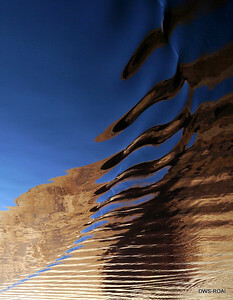 When viewed in normal orientation, the reflection is interesting, but lacks the visual challenge and illusion. 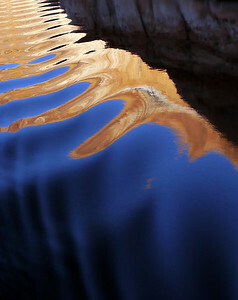 Along the Escalante Arm of Lake Powell, UT, 2-Nov-2011, 12:40PM. 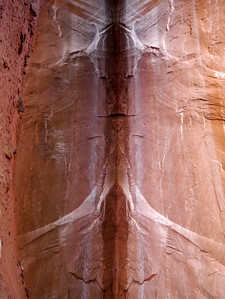 Some images require a quick eye and imagination. 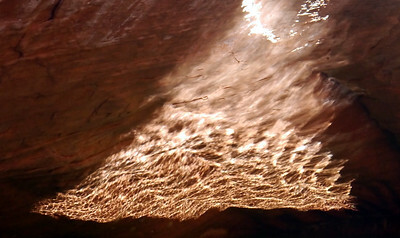 Here we saw reflections of the mid-day sun onto shaded areas of canyon walls. 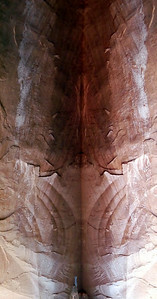 When cropped out of the full image, the reflections provide the illusion of fire on the wall.